It’s still July — but the November election is just 99 days away. 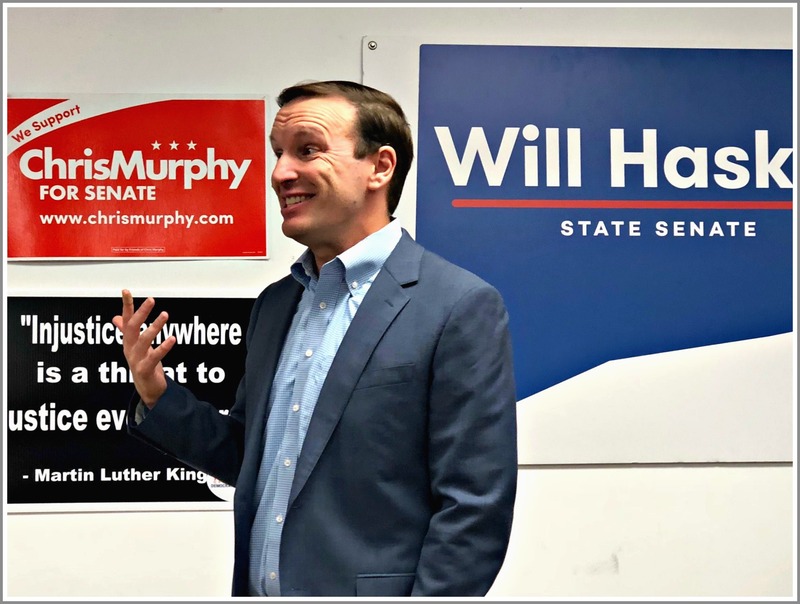 Senator Chris Murphy came to Westport Democratic Party headquarters today, to inspire volunteers for down-ballot races. Will Haskell — a recent college graduate, running against Toni Boucher for State Senate in the 26th district — introduced the senator, noting that he’d knocked on doors during Murphy’s first US Senate run. US Senator Chris Murphy, earlier today at Westport Democratic Party headquarters.